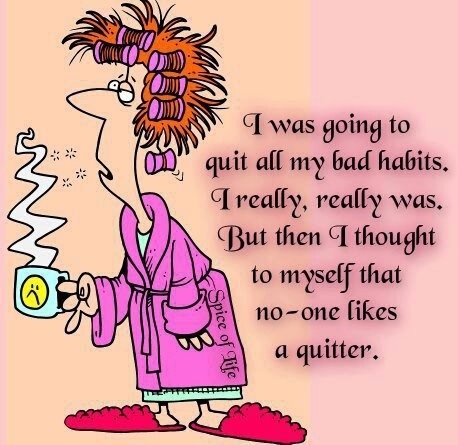 Funny Bad Habit Quitter Cartoon - I was going to quit all my bad habits. I really, really was. But then I thought to myself that no-one likes a quitter.